Hampstead is one of the most desirable neighbourhoods in London offering its residents green space, a laid back cafe culture and plenty of character. The area has an excellent array of independent cafes, fine restaurants, good shops and excellent transport links. Our busy office in Hampstead Village deals with a wide range of property from quaint cottages to apartments and period houses. 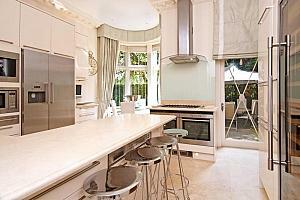 It’s the abundance of period properties that help make Hampstead such an attractive area. Hampstead has plenty of cosy pubs and romantic restaurants making it the ideal place for a relaxing night out. The area is served by three theatres showing a variety of contemporary plays and an independent cinema which shows the latest releases as well as cult classics. The Hampstead Theatre has been producing plays for 55 years. It has always prided itself on supporting new writers and has helped to develop British talent such as Harold Pinter and Mike Leigh, to name just a couple. Hampstead Heath is one of the largest open green spaces in London. Surprisingly for central London, it encompasses a variety of different habitats including ancient woodland and grassland. Recreational facilities include a lido, swimming ponds and various sports pitches, including a croquet lawn. During the summer Hampstead Heath provides an impressive vantage point for viewing the London skyline. Other local parks include the delightful Golders Hill Park and Kenwood Gardens, the famous gardens of Kenwood House. Foodies won’t be disappointed by the range of restaurants in Hampstead offering cuisines from all over the world. Those with a sweet tooth will be delighted by the number of fine patisseries and the famous La Crêperie de Hampstead which has been serving delicious crêpes since 1980 - there’s a reason for the long queues! Shoppers are also well catered for with an excellent range of boutiques and up market high street chains. The Wells Tavern is an elegant gastro pub, nestled between the village and Hampstead Heath. The building has been renovated and decorated to reflect its heritage. The menu offers heartening food, just what’s needed after a long walk on the Heath. Hampstead offers a number of exceptional schools including, to name but a few, Hampstead High School for girls (and junior branch), University College School (and junior branch), The King Alfred School (ages 4 to 18), and Devonshire House, which also has an attached nursery school. 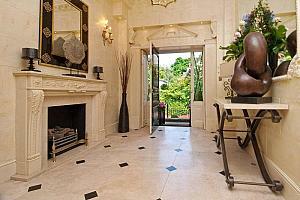 The area of Hampstead is well supported by its transport links which makes commuting easy. 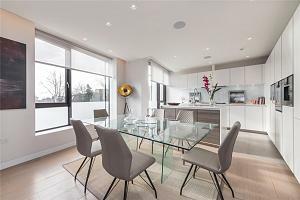 If you are looking for a property in Hampstead, please get in touch by calling or popping into our office near to Hampstead underground station. 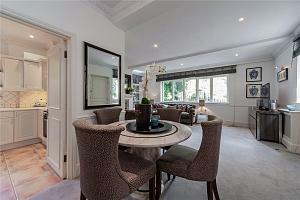 If you are looking for a property in Hampstead, please get in touch by calling us or pop into our branch.